BEDS 3 BATHS 3.5 Basement available! Choice Line $292,608 3,634 TOTAL SQ. FT. | $81/SQ. FT. Select Line $332,510 3,718 TOTAL SQ. FT. | $89/SQ. FT.
First Floor 1732 Sq. Ft.
Second Floor 1026 Sq. Ft.
Total Heated 2758 Sq. Ft.
Front Covered Porch 300 Sq. Ft. Optional Rear Deck 84 Sq. Ft. Optional Garage 576 Sq. Ft. Optional Terrace Level 1742 Sq. Ft.
Our MistyRidge has it all and more! Huge covered porch, open floor plan, vaulted great room, master suit on the main with his and hers closets, additional bedrooms and bathroom upstairs, need we go on? This home will provide everyone with a sense of privacy while the open floor plan provides a central gathering location for your family and any guest you may entertain. 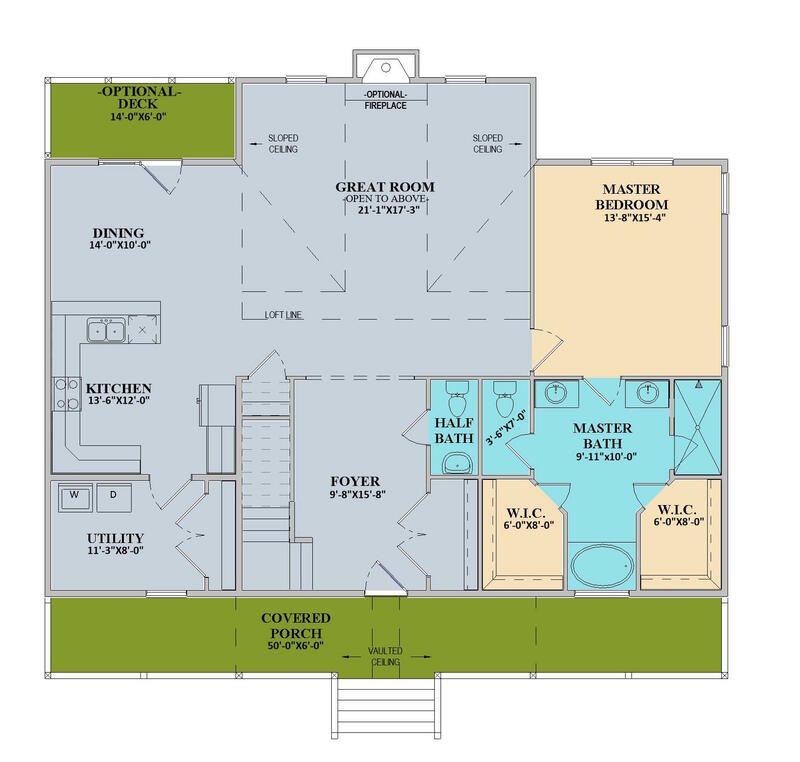 Take a look at the floor plan above to see all the features this plan offers! All Brown Haven Home plans include luxury finishes and superior products. 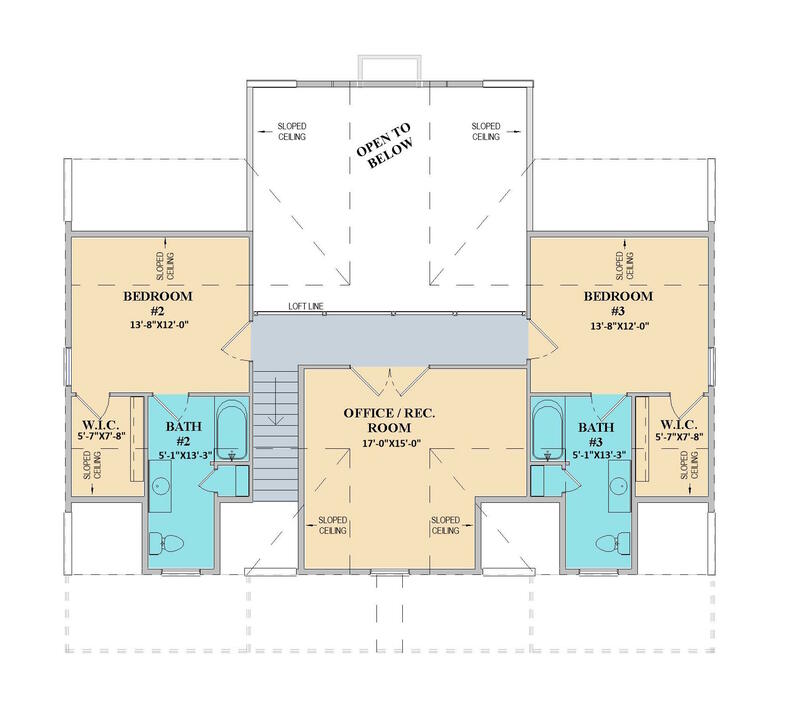 The MistyRidge single-family home plan is 3,634 square feet, has 3 bedrooms, 3.5 bathrooms, and 0 garage spaces. Starting from $292,608, the MistyRidge home can be built “On Your Lot” in Asheville, North Carolina. Other nearby locations you can build a new MistyRidge home include Henderson County, Marshall in Madison County, and Buncombe County, North Carolina. In all, we build our award-winning custom homes in eleven North Carolina counties. Similar custom homes in Asheville you may love include the 3,745 square foot MeadowView plan, the RiverStone, a 2.5-bath home, and the 4 bedroom MountainRidge custom home.